Have you been diagnosed with dementia? - Has a loved one been diagnosed? 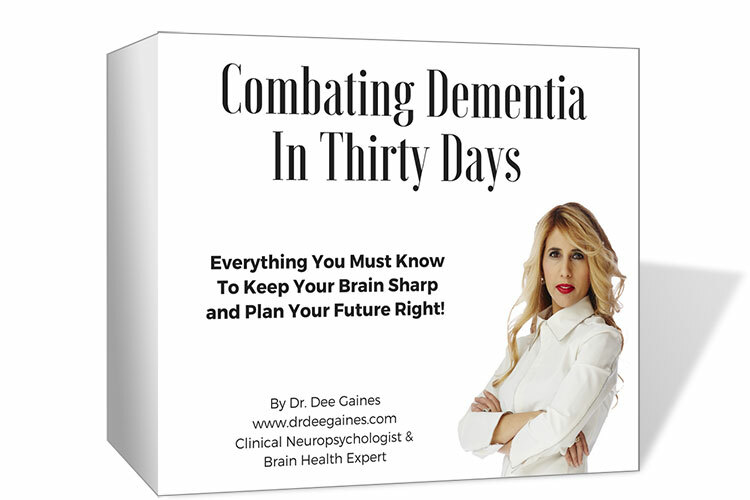 - Do you want to increase your chance to prevent dementia in your life? Get Help Now! 30 videos packed with highly detailed knowledge and practical advice + a personal manual to follow along! Shipping and Delivery Launches September 2017. A product of Heila Productions, Inc. The affordable way to take control of your cognitive aging. 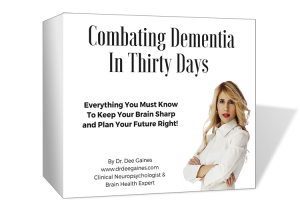 In 30 short videos (approximately 5 minute long), along with a hands-on manual, Dr. Dee Gaines takes you through the most important and fundamental knowledge you must have when you suspect cognitive decline in you or your loved one, or when the diagnosis of dementia was provided. From memory strategies, to eating habits, mental health, and family care, these videos are designed to help you have the knowledge and tools to work with your medical team, and combat dementia. “HEALTHY EATING PART 7 CLEAN AND FRESH FOOD"
“HEALTHY EATING PART 8 EXCELLENT EATING HABITS"
Giving this product as a gift? Add a personal gift note from Dr. Gaines for only $4.95! Name of the person receiving the gift. Name of the person giving the gift. As a teenager, Dr. Dee worked with the elderly at her parents' retirement center. Later as a doctor she ran a Memory Program for UCLA to help the elderly stay sharp. From clarification of diagnosis, setting up treatment plans, and helping her patients with cognitive boosting while dancing, Dr. Dee is committed to bring the right knowledge to you, for a better life. 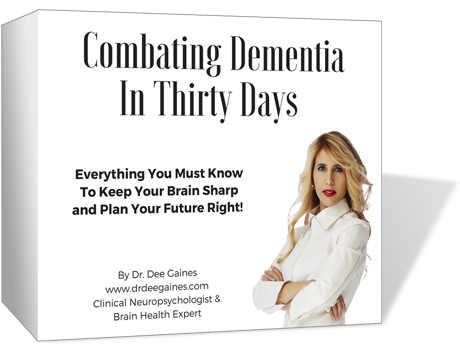 In 30 short and friendly videos, along with a mini-book (an instructional manual), Dr. Dee takes you through the process of understanding cognitive aging and what you can do about it. Dr. Dee is careful to introduce to you what science teaches us, and how to practice it in day to day life. Making this product affordable to everyone. Get educated, know what to do, and plan your aging right with Dr. Dee! This product helped my father who was diagnosed with Dementia in 2015. I am pleased to see him engaged in some of the suggestions mentioned on the videos. Please refrain from using the back button of your browser during your purchase.